Gamesir T1d versus the Nimbus Steelseries Controller? Ok, so there is about a $10 to $15 difference in price for getting one over the other. From my understanding, either controller works wonderfully with the Tello Drone, or at least what I have read so far. I do have the Gamesir T1D and from my experience, it has worked great! My question is, for those who has one or the other or BOTH, which do you prefer? I am looking to possibly by the Nimbus now since it's a solid controller but it also can be used as a game controller unlike the T1D. All in hindsight and I wish I just went with the Nimbus from the start instead of wasting it on a T1D that can only be used for the Tello Drone. I really don't want to read this thread since I've just ordered a Gamesir T1d. However, what sold the Gamesir to me was that it had a cradle to hold my iPhone whereas, as far as I can see, the Nimbus Steelseries doesn't. Surely that makes it difficult to use with your phone on the move. Is is just the fact that the Gamesir can't handle games? I can live with that as I need the controller for my Tello, not games. 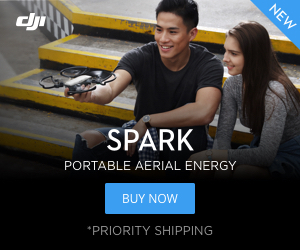 Of course, you can say that for all the other DJI controllers for Mavic, Spark, etc. but from that perspective those require HIGH QUALITY controllers for the price you invested in the drone and not chancing it on anything else. Is is possible that Gamesir might make the T1d game-compatible with a future firmware update? Always a possibility. What I don't understand is that originally these controllers were made for phone gaming and what not but when Gamesir came out with the T1D it seems like it's a rushed job to get the controller out to support the drone. I don't know. Could be, but i saw pictures of the inside of the T1d when it was in development, and it seems like a stripped out version of the T1 and T1s.